In the winter of 2011, a plan was hatched. That plan, to get the payroll under $189 million for the 2014 season, formed the guiding principle of player acquisition for the Yankees until last week, when the Yankees signed Masahiro Tanaka. I love the Tanaka signing, but we have to acknowledge that it signifies two years of wasted effort. Fans excused certain decisions because this plan loomed like a dark cloud. They can’t even think about going outside to talk to Zack Greinke because it’s going to rain! Kevin Youkilis for a one-year-deal adequately addresses 2013 without impacting 2014! The Yankee rosters for 2012 (AL East Champions, ALCS losers) and 2013 (tied for 3rd in AL East) were forged with these constraints in place. How might things have played out had the Yankees been operating as usual? I have no idea what free agents the Yanks would have pursued, but we can predict, with some degree of certainty, that they would have signed more than just CC Sabathia and Ichiro Suzuki. Some of the good players are rendered moot before we start. Derek Jeter erases Jose Reyes. Mark Teixeira eliminates Prince Fielder and Albert Pujols. Mariano Rivera bumps off Papelbon. We can’t consider David Ortiz an actual option for DH, can we? Robinson Cano blocks second base and though Alex Rodriguez was mucking things up as usual, you’ll notice a distinct lack of free agent third basemen above. So if the Yankees were going to spend in 2011-2013, it was going to be on pitching, catching and the outfield. Because there are five rotation spots and very rarely five starters who are both good and healthy at the same time, the starting rotation can always stand some sprucing up. Anibal Sanchez was available, affordable and miles better than anyone else the Yankees had at the back of the 2013 rotation. (Zack Greinke was also miles better than anyone the Yankees had, but he was neither as affordable nor as available, depending on what you believe about his interest in pitching half of his games in New York.) Other guys might have interesting names, but even with the benefit of hindsight, I can’t pick out obvious targets for the Yanks other than Sanchez and Greinke, two guys they didn’t even sniff around. The bullpen, eh, I can’t find fault there. The Yankees employed Rivera, Robertson and Soriano during this time period and all of their bullpens were pretty good. It would be great if they landed a guy like Grilli or whatever, but throwing a lot of money at the bullpen is just not the best way to spend dough regardless of the overall agenda. Catching was obviously a self-inflicted wound. The only good catcher on this list is Russell Martin and he was already a Yankee. The Yankees went with budget catching in 2013 and it contributed to them missing the Postseason. The outfield is a pretty tough puzzle to solve because, like the rotation, there is almost always room for a new face. But the 2011 Yankees had a sweet outfield. The 2012 outfield was also going to be very good, but Gardner could not stay healthy enough to play with Granderson and Swisher and Ibanez could not replace him. Enter Ichiro, who gave them some life in 2012 but drained all that and then some in a vampiric 2013 performance. And then, of course, Vernon Wells. The decision to re-sign Ichiro after his 2012 stint was extremely damaging as he got a 2014 contract – the only other 2014 contract the Yankees handed out was to CC Sabathia. Obviously, the outfield needed help in 2013. But who was there that the Yankees would have employed? Josh Hamilton and B.J. Upton were busts of epic proportions. Imagine a scenario where Vernon Wells was preferable! That actually happened. But I guess the Yankees would have been in play for Hamilton. Maybe his addictions would have steered them clear, but I can’t be certain. For other proven Major Leaguers, it boils down to retaining Swisher or correctly predicting Victorino’s resurgence. Either upgrade would have been huge. But proven Major Leaguers weren’t the only available players. As we have already discussed, international free agents such as Yoenis Cespedes as well as Yu Darvish and Yaisel Puig, remain the biggest misses for the Yankees during this time period. And the Yankees didn’t even swing. I didn’t even really notice the Iwakuma signing in Seattle, but I’d love to have him on the team. It’s possible that the Yankees didn’t think these players were any good, but it’s also possible that, with the failure of Kei Igawa fresh in their minds, they did not want to allocate any of their precious 2014 budget on relative unknowns – even if the upside was that they turned out to be bargains and enabled them to contend while pinching pennies. On top of all this are the unexplored trades. Since the Yankees needed salary cleared for 2014, they had to be very careful about trade partners. Typical salary dumps became much more complicated or non-existant. We have no idea what kinds of trades might have been possible, but look at how they handled the Soriano trade. They gave up a prospect they liked in order to get the Cubs to pay more money. The Yankees cut off several avenues of talent acquistion: they did not sign Major League free agents to 2014 contracts; they did not sign international free agents to 2014 contracts; and they did not trade for players with large 2014 contracts. When you turn the talent spigot off with such force, it’s requires a lot effort to turn it back on. Hence the rampant spending this year doesn’t even cover all the holes. Without the 189 plan, it’s hard to imagine the Yankees being worse in 2013 than they actually were, but it’s also no sure thing they would have had a contender. The above list shows there were many pitfalls strewn about the jewels of free agency. They could just as easily be stuck with Josh Hamilton now as they could be enanmored with Anibal Sanchez. When you think about the depth the 2013 Red Sox acquired via free agnecy, though, you can see that talent was available for those free to spend. In fact, the absence of Yankee dollars from the market probably played a role in driving that talent to Boston. Kind of like a black hole sucking Victorino, Napoli, Drew and Uehara through the Bronx and into a frightening dimension on the other side where they would become World Champions for the Red Sox. So yeah, add Swisher and Martin back to the 2013 team because the Yankees failed to replace them and maybe they win the Wild Card. But then subtract Brian McCann and Carlos Beltran from the 2014 Yankees. I don’t see a clear choice there. But a Yankee team in 2013 with Darvish, Cespedes or Puig in addition to Swisher and Martin? And maybe they found the needle in the haystack with Sanchez and blocked Uehara or Victorino from signing with the Sox? Oh well, they probably would have all wound up on the DL together anyway. It's interesting to ponder the acquisitions of Woulda, Coulda, and Shoulda, and no doubt, the frontoffice has regrets due to Plan 189, but the pining for Russell Martin has gotten a little tiresome. 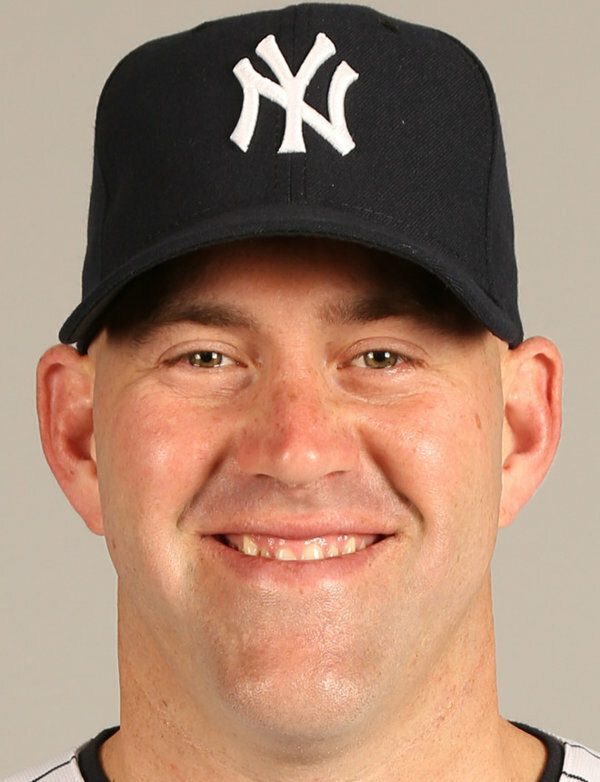 He batted .211 in his final year with the Yankees, and generally does not hit his weight in the playoffs. He was a nice player, but I would have let him walk last winter. McCann's a more prolific home run hitter, and lefty. I'd rather have him. I'm not hating on Martin either. I'm just saying if you plug his 2013 numbers with the Pirates into the 2013 Yankees, they're still not making the playoffs. &  I don't think anybody thinks Martin makes the difference by himself. But Martin and some others might have. And take the numbers for what you will, but Martin's 2013 season was seen as very, very good by many analysts. Fangraphs has him at over 4 wins above replacement and the 5th best catcher in baseball. Yankee catchers combined for less than 1 win above replacement. I don't think those numbers are set in stone or anything, but I think their is universal agreement that losing Martin was a huge downgrade for the Yanks. 3) yeah, the loss of Martin was magnified, and his ablilities amplified by the suckitude of the 2013 catchers. I just think it got, and continues to be overplayed. Hopefully, McCann proves his superiority this year, and going forward. Being a fulltime lefty hitter, McCann should benefit from the short porch even more than Russell and Swisher did. Yeah, going forward, I'd rather have McCann, even tho he seems like a huge d-bag. I don't think it's the Martin is that great, he's good at best (although I had a soft spot for him), it's that the replacements were just so...so..bad. They basically went an entire season without a MLB caliber Catcher. That being said, I'd probably rather take that 1 year of pain for a sizable upgrade this year (McCann over Martin). I wonder if anyone's thinking that any of these guys would sign with the Yanks for less than a premium in dollars or years. Keeping Robbie came down to years, and Robbie wanted ten which is preposterous in light of both A-Rod and the fact that Robbie failed to carry a team for a significant stretch where he was clearly their best player. But that's Seattle's problem now. We've already seen the best he can do. How is this different than any of the others mentioned? I think you're right that nobody was going to give the Yankees, of all teams, a discount just because they were trying to trim payroll. And that paying premium prices for players after their best years are behind them is a risky way to build a team. But the Yankees were not strong enough to be successful in 2013 without added talent. And now they are facing an uphill battle to contend in 2014, even after spending all of the money. So regardless of how they added that talent (premium free agents, moderate free agents, dumpster diving, international gambles, salary dump trades) they needed a continual stream of players coming in from 2011-2013. And those guys never arrived.